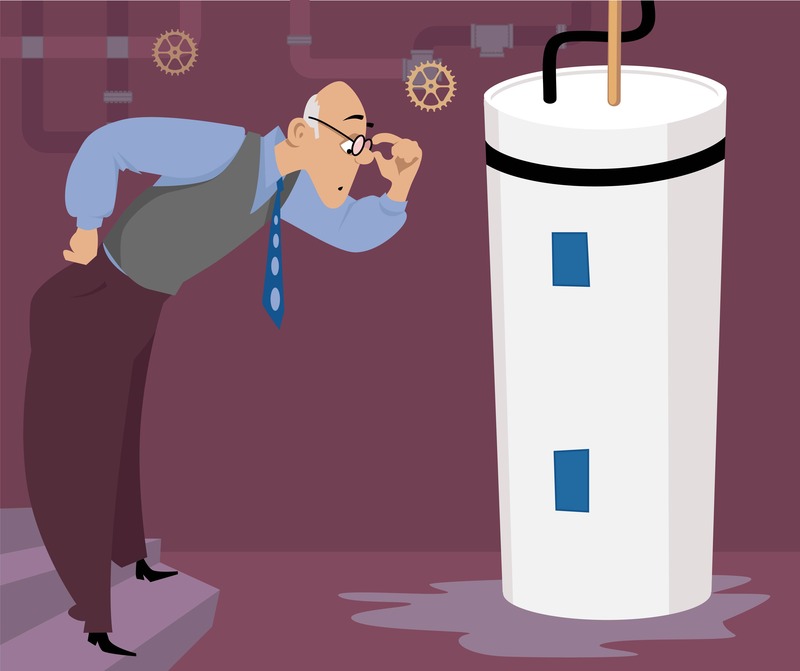 So you think your water heater has sprung a leak. What should you do about it? The first thing that you’re going to want to do is to make sure that it’s actually the water heater that’s leaking. Coming from a contractor’s perspective, we’ve more than once, swapped out a tank, only to discover that there’s actually a pipe or some other water problem near the hot water tank that’s actually causing the water to leak all over the floor. The second thing that you’ll want to do is to try to find out where the water is coming from. There’s a little cover on the bottom of the tank. I would suggest that you pull that cover off, and look at the bottom of the tank to see if it’s filling with water. If that’s the case, you’d know for sure, 100%, that the water is coming out of the tank, and not just some other water source making the floor wet. The other thing that you’ll want to check is the dip tube on the side of the tank – it’s the long pipe coming down on the side of the hot water tank. See if it’s wet, coming out of the end of that tube. If it is, again, the actual tank itself is not the part that’s leaking. There’s another part, called a temperature and pressure relief valve that can cause the water to shoot out and go all over the floor. 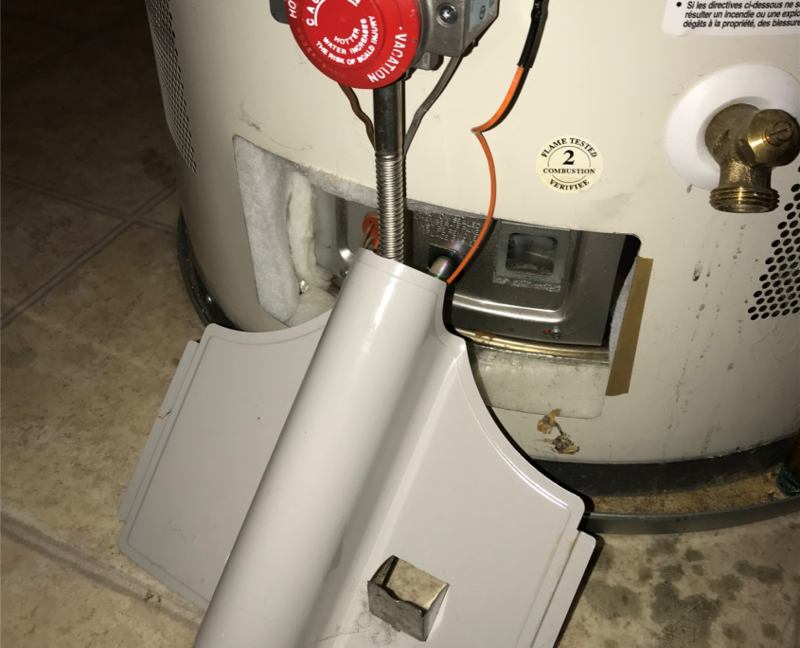 A temperature and pressure relief valve spilling water can have a lot of other causes, like the pressure being too high in your house or a broken pressure reducing valve or a variety of factors. The next thing that I would suggest to do is you should start looking around the outside of the tank, rubbing your hands along the side of it to see if you feel any bubbles, rusting or bulges. They are all indicators that the tank has blown. Tanks come in a pre-packaged format. The actual tank that contains the water is on the inside and the part that you see is just an outer shell. So, if you see any damage or rusting or bulging on the outer shell, that means that the inner shell is definitely broken. Moving from the side of the tank to the top of the tank, you will see some various circles or ports. Again, if you see any leaking or rusting or bulging around there, that means that the tank is blown. Alternatively, once in a while, on a rare occasion, there could be water coming down the chimney from the roof, or from another source, and that can be causing water to end up on the top of the tank. But as long as it doesn’t look like that, and there is rust on the top of the tank then you know for sure that the tank has blown, and that that’s your problem right there. You put the hose on the tank. You run it to a drain. You open up the drain port at the bottom of it to try to flush it out. Word of warning – at this point, that may cause the tank to blow, if it was already partially blown or just very unstable. If you definitely think it is the tank that is leaking I would suggest that you shut the water off from the top of the tank. There should be a little handle that you can use to turn it off at the top of the tank on the cold water line. I would also suggest, if it looks simple enough, to follow the gas line back and turn the gas OFF, or if you can’t see where that is coming from, there should be a knob on the control, at the bottom of the tank, with three positions – ON, PILOT and OFF. Turn that to OFF. With gas and water off the next step would be to figure out how to connect the hose to the bottom of it, run a hose from the hose bib to a drain and let the tank drain. 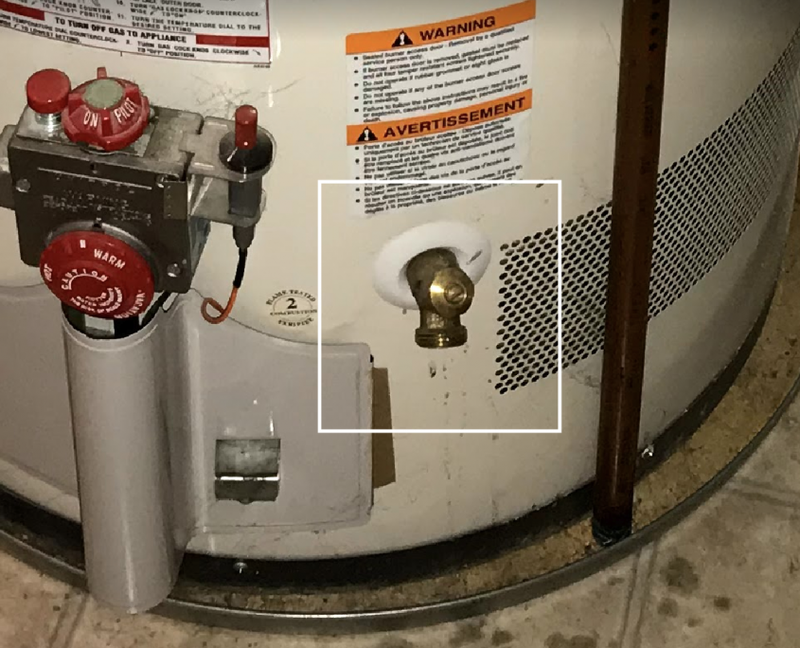 One small addendum to this blog – if you have an electric hot water tank, you won’t have gas to shut off, and instead, you should be shutting the breaker off at the panel. So, go to your panel, and there should be a breaker marked “hot water tank” that you’ll need to shut off. At that point, just call a professional to get the tank swapped out. Our summers here in Seattle are shorter than in other parts of the country, but they can be just as intense. Especially over the l..